Voices Of Lee Goes Viral With Majestic Video Recording Of "What A Beautiful Name"
Move over viral cat videos and "Get Out" challenges, there's a new viral video taking over social media, and it's a great one for aca-fans everywhere. 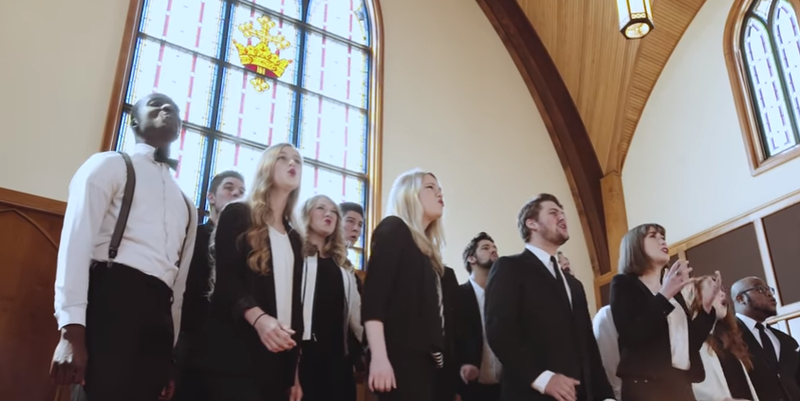 On July 2nd, the Lee University's Voices of Lee released a sensational cover of "What A Beautiful Name" composed by Hillsong Worship. The gospel tune is incredibly moving and powerful, with the Voices of Lee's unbelievable vocals shining bright through each and every note. In just over a week, the video has garnered over 16 million views on Facebook alone. Be sure to share this one with friends, family, and anyone needing a little inspiration in their day.